A few weeks ago, I mentioned I had completely cut out all forms of sugar and grains/gluten. I didn’t have a plan to stop or cheat on my plan but when in Nashville this weekend we found a great bakery that had paleo donuts. 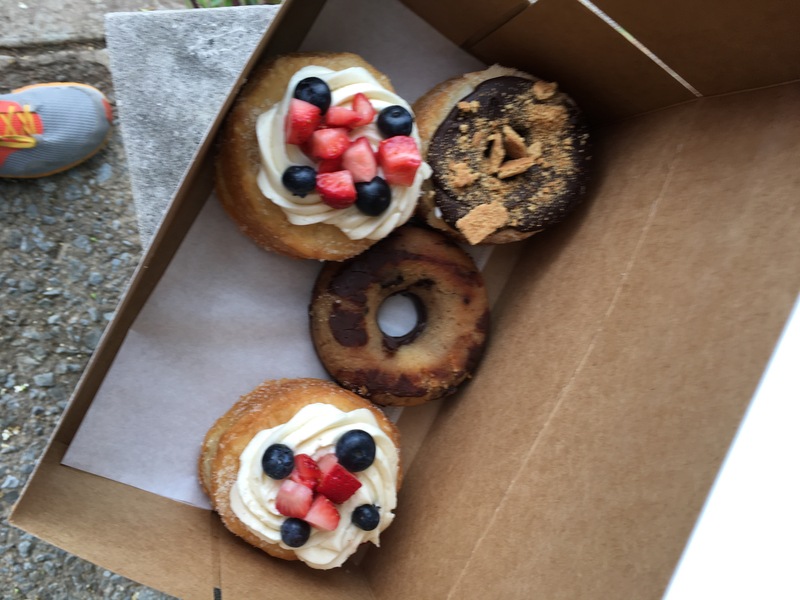 By definition a paleo donut fits into my criteria for food and I was excited to have a treat. Their was some miscommunication between me and the donut lady and only one of the donuts we got was paleo (the smallest one in the box). So I ended up having a cheat day and boy was it a good one. I had a S’more one that had chocolate icing and marshmallow filling. Previous Previous post: Take a look at the new social icons.